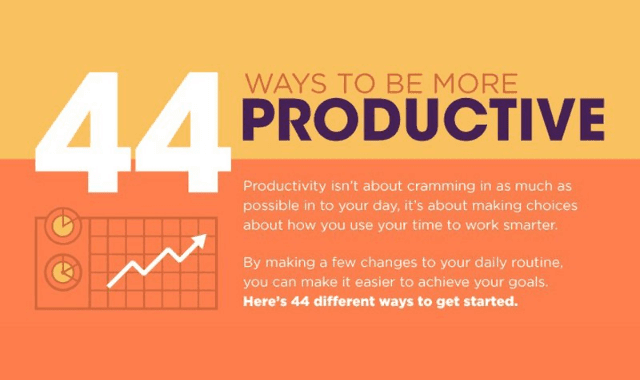 44 Ways To Be More Productive #Infographic ~ Visualistan '+g+"
Productivity isn't about cramming in as much as possible in to your day, it's about making choices about how you use your time to work smarter. By making a few changes to your daily routine, you can make it easier to achieve your goals. Here's 44 different ways to get started.